This article is about the learned society in the United Kingdom. For other uses, see Royal Society (disambiguation). The early 19th century has been seen as a time of decline for the society; of 662 fellows in 1830, only 104 had contributed to the Philosophical Transactions. The same year, Charles Babbage published Reflections on the Decline of Science in England, and on Some of Its Causes, which was deeply critical of the Society. The scientific Fellows of the Society were spurred into action by this, and eventually James South established a Charters Committee "with a view to obtaining a supplementary Charter from the Crown", aimed primarily at looking at ways to restrict membership. The Committee recommended that the election of Fellows take place on one day every year, that the Fellows be selected on consideration of their scientific achievements and that the number of fellows elected a year be limited to 15. This limit was increased to 17 in 1930 and 20 in 1937; it is currently[when?] 52. This had a number of effects on the Society: first, the Society's membership became almost entirely scientific, with few political Fellows or patrons. Second, the number of Fellows was significantly reduced—between 1700 and 1850, the number of Fellows rose from approximately 100 to approximately 750. From then until 1941, the total number of Fellows was always between 400 and 500. The blazon for the shield in the coat of arms of the Royal Society is in a dexter corner of a shield argent our three Lions of England, and for crest a helm adorned with a crown studded with florets, surmounted by an eagle of proper colour holding in one foot a shield charged with our lions: supporters two white hounds gorged with crowns, with the motto of nullius in verba. John Evelyn, interested in the early structure of the society, had sketched out at least six possible designs, but in August 1662 Charles II told the society that it was allowed to use the arms of England as part of its coat and the society "now resolv'd that the armes of the Society should be, a field Argent, with a canton of the armes of England; the supporters two talbots Argent; Crest, an eagle Or holding a shield with the like armes of England, viz. 3 lions. The words Nullius in verba". This was approved by Charles, who asked Garter King of Arms to create a diploma for it, and when the second charter was signed on 22 April 1663 the arms were granted to the president, council and fellows of the society along with their successors. The society also elects royal fellows, honorary fellows and foreign members. Royal fellows are those members of the British Royal Family, representing the British monarchy's role in promoting and supporting the society, who are recommended by the society's council and elected via postal vote. There are currently[when?] five royal fellows: The Duke of Edinburgh, The Prince of Wales, The Duke of Kent, the Princess Royal, and The Duke of Cambridge. Honorary fellows are people who are ineligible to be elected as fellows but nevertheless have "rendered signal service to the cause of science, or whose election would significantly benefit the Society by their great experience in other walks of life". Six honorary fellows have been elected to date, including Baroness O'Neill of Bengarve. Foreign members are scientists from non-Commonwealth nations "who are eminent for their scientific discoveries and attainments". Eight are elected each year by the society and also hold their membership for life. Foreign members are permitted to use the post-nominal ForMemRS (Foreign Member of the Royal Society) and currently[when?] number about 140. Through its Science Policy Centre, the Society acts as an advisor to the UK Government, the European Commission, the United Nations on matters of science. It publishes several reports a year, and serves as the Academy of Sciences of the United Kingdom. Since the middle of the 18th century, government problems involving science were irregularly referred to the Society, and by 1800 it was done regularly. Philosophical Transactions is the oldest and longest-running scientific journal in the world, having first been published in March 1665 by the first secretary of the society, Henry Oldenburg. It now publishes themed issues on specific topics and, since 1886, has been divided into two parts; A, which deals with mathematics and the physical sciences, and B, which deals with the biological sciences. Proceedings of the Royal Society consists of freely submitted research articles and is similarly divided into two parts. Biology Letters publishes short research articles and opinion pieces on all areas of biology and was launched in 2005. Journal of the Royal Society Interface publishes cross-disciplinary research at the boundary between the physical and life sciences, while Interface Focus, publishes themed issue in the same areas. Notes and Records is the Society's journal of the history of science. Biographical Memoirs is published twice annually and contains extended obituaries of deceased Fellows. Open Biology is an open access journal covering biology at the molecular and cellular level. Royal Society Open Science is an open access journal publishing high-quality original research across the entire range of science on the basis of objective peer-review. All the society's journals are peer-reviewed. 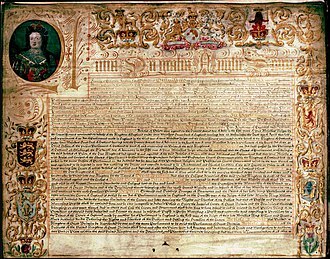 ^ a b "The formal title as adopted in the royal charter" (PDF). royalsociety.org. ^ Hunter, Michael. "Royal Society". Encyclopædia Britannica. Retrieved 24 February 2018. ^ "The Fellowship," The Royal Society 2016. Retrieved 4 September 2016. ^ Yates, Frances (1984). Collected Essays Vol. III. p. 253. ^ "Tallents, Francis (TLNS636F)". A Cambridge Alumni Database. University of Cambridge. ^ Margery Purver, The Royal Society: Concept and Creation (1967), Part II Chapter 3, The Invisible College. ^ "London Royal Society". University of St Andrews. Retrieved 8 December 2009. ^ a b "Prince of Wales opens Royal Society's refurbished building". The Royal Society. 7 July 2004. Retrieved 7 December 2009. ^ a b "Newton biography". University of St Andrews. Retrieved 28 December 2009. ^ a b "Fellows – Fellowship – The Royal Society". The Royal Society. Retrieved 24 March 2014. ^ a b "Parliamentary Grant". The Royal Society. Retrieved 28 October 2014. ^ "Parliamentary Grant Delivery Plan 2011–15 (PDF)" (PDF). The Royal Society. Retrieved 28 October 2014. 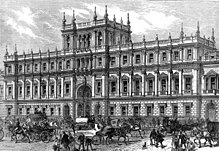 ^ a b "Admission of Women into the Fellowship of the Royal Society". Notes and Records of the Royal Society of London. 4 (1): 39. 1946. doi:10.1098/rsnr.1946.0006. ^ "History". The Royal Society. Retrieved 29 October 2015. ^ "Criteria for candidates – Criteria for candidates – The Royal Society". The Royal Society. Retrieved 5 December 2009. ^ "The rights and responsibilities of Fellows of the Royal Society". The Royal Society. Retrieved 5 December 2009. ^ "Royal Fellows". The Royal Society. Retrieved 5 December 2009. ^ "Honorary Fellows". The Royal Society. Retrieved 5 December 2009. ^ "Foreign Members". The Royal Society. Retrieved 16 May 2013. ^ Poliakoff, Martyn. "The Royal Society, the Foreign Secretary, and International Relations". sciencediplomacy.org. Science & Diplomacy. ^ a b "How is the Society governed?". The Royal Society. Archived from the original on 9 June 2008. Retrieved 6 December 2009. 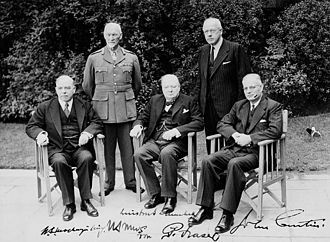 ^ a b "The Council". The Royal Society. Archived from the original on 9 June 2008. Retrieved 6 December 2009. ^ "Council". The Royal Society. The Royal Society. Retrieved 1 October 2017. ^ "The role of President of the Royal Society". The Royal Society. Archived from the original on 9 June 2008. Retrieved 6 December 2009. ^ "The Royal Society". www.facebook.com. ^ "The Presidency of the Royal Society of London". Science. 6 (146): 442–3. 1885. Bibcode:1885Sci.....6..442.. doi:10.1126/science.ns-6.146.442. 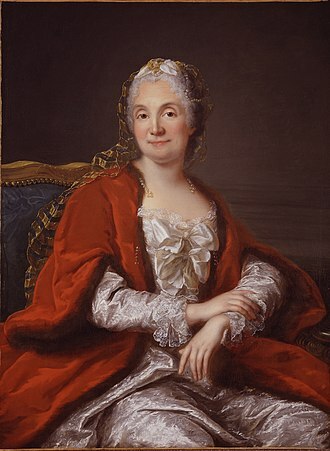 PMID 17749567. ^ "Staff". The Royal Society. Retrieved 1 October 2017. ^ "Grants". The Royal Society. Retrieved 28 October 2014. ^ a b "Awards, medals and prize lectures". The Royal Society. Retrieved 7 December 2009. ^ "Communication skills and Media training courses". The Royal Society. Retrieved 7 December 2009. ^ "The Royal Society Enterprise Fund". The Royal Society Enterprise Fund. Archived from the original on 19 June 2010. Retrieved 7 December 2009. ^ Science Policy Centre – 2010 and beyond. The Royal Society. 2009. p. 3. ^ "General". The Royal Society. Retrieved 7 December 2009. 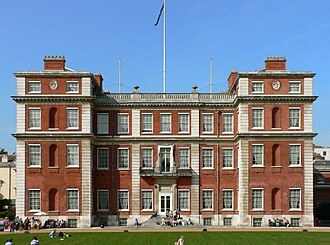 ^ ""Royal Society snaps up a stately hothouse", Times Online, 29 March 2009". Timesonline.co.uk. Retrieved 17 August 2012. ^ "Royal Society Publishing". Royal Society Publishing. Retrieved 27 December 2009. ^ "Philosophical Transactions of the Royal Society of London". 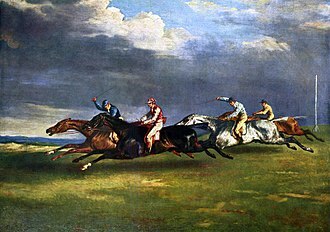 rstl.royalsocietypublishing.org. Retrieved 14 December 2016. 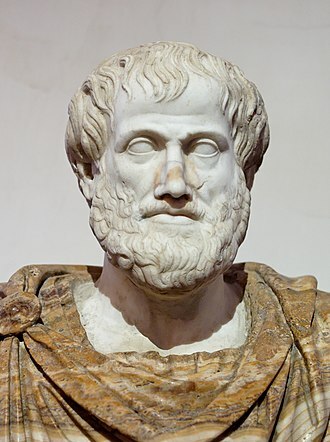 ^ "Philosophical Transactions A – About the journal". The Royal Society. Archived from the original on 3 July 2013. Retrieved 11 December 2009. ^ "Philosophical Transactions of the Royal Society B". The Royal Society. Retrieved 11 December 2009. ^ "Proceedings A – about the journal". The Royal Society. Retrieved 11 December 2009. ^ "Biology Letters – about this journal". The Royal Society. Archived from the original on 3 May 2013. Retrieved 11 December 2009. ^ "Journal of the Royal Society Interface – About". The Royal Society. Archived from the original on 22 May 2013. Retrieved 11 December 2009. ^ "Interface Focus – About". The Royal Society. Archived from the original on 23 December 2011. Retrieved 24 February 2012. ^ "About Notes and Records". The Royal Society. Archived from the original on 19 July 2012. Retrieved 11 December 2009. ^ "Biographical Memoirs of Fellows of the Royal Society". The Royal Society. Retrieved 11 December 2009. ^ "ROYAL SOCIETY OPEN SCIENCE | Open Science". rsos.royalsocietypublishing.org. Retrieved 14 December 2016. ^ "The Croonian Lecture (1738)". The Royal Society. Retrieved 7 February 2009. ^ "The Copley Medal (1731)". The Royal Society. Retrieved 4 February 2009. Bluhm, R.K. (1958). "Remarks on the Royal Society's Finances, 1660–1768". Notes and Records of the Royal Society of London. 13 (2): 82. doi:10.1098/rsnr.1958.0012. de Beer, E.S. (1950). "The Earliest Fellows of the Royal Society". Notes and Records of the Royal Society of London. 7 (2): 172. doi:10.1098/rsnr.1950.0014. J.D.G.D. (1938). 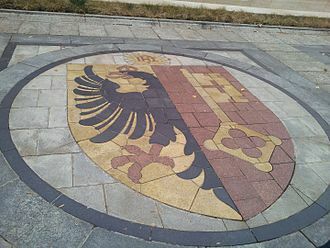 "The Arms of the Society". Notes and Records of the Royal Society of London. 1 (1): 37. doi:10.1098/rsnr.1938.0007. Fischer, Stephanie (2005). "Report: The Royal Society Redevelopment". Notes and Records of the Royal Society of London. 59 (1): 65. doi:10.1098/rsnr.2004.0077. Hall, Marie Boas (1981). "Public Science in Britain: The Role of the Royal Society". Isis. 72 (4): 627–629. doi:10.1086/352847. JSTOR 231253. Henderson, L.J. (1941). "The Royal Society". Science. 93 (2402): 27–32. Bibcode:1941Sci....93...27H. doi:10.1126/science.93.2402.27. PMID 17772875. Hunter, Michael (1984). "A 'College' for the Royal Society: The Abortive Plan of 1667–1668". Notes and Records of the Royal Society of London. 38 (2): 159. doi:10.1098/rsnr.1984.0011. Lyons, H.G. (1938). "The Growth of the Fellowship". Notes and Records of the Royal Society of London. 1 (1): 40. doi:10.1098/rsnr.1938.0008. Lyons, H.G. (April 1939). "Two Hundred Years Ago. 1739". Notes and Records of the Royal Society of London. 2 (1): 34. doi:10.1098/rsnr.1939.0007. Lyons, H.G. (November 1939). "One Hundred Years Ago. 1839". Notes and Records of the Royal Society of London. 2 (2): 92. doi:10.1098/rsnr.1939.0016. Lyons, H.G. (1939). "The Composition of the Fellowship and the Council of the Society". Notes and Records of the Royal Society of London. 2 (2): 108. doi:10.1098/rsnr.1939.0017. Lyons, H.G. (1940). "The Officers of the Society (1662–1860)". Notes and Records of the Royal Society of London. 3 (1): 116. doi:10.1098/rsnr.1940.0017. Martin, D.C. (1967). "Former Homes of the Royal Society". Notes and Records of the Royal Society of London. 22 (1/2): 12. doi:10.1098/rsnr.1967.0002. Miller, David Philip (1998). "The 'Hardwicke Circle': The Whig Supremacy and Its Demise in the 18th-Century Royal Society". Notes and Records of the Royal Society. 52 (1): 73. doi:10.1098/rsnr.1998.0036. A.C.S. (1938). "Notes on the Foundation and History of the Royal Society". Notes and Records of the Royal Society of London. 1 (1): 32. doi:10.1098/rsnr.1938.0006. Sorrenson, Richard (1996). "Towards a History of the Royal Society in the Eighteenth Century". Notes and Records of the Royal Society of London. 50 (1): 29. doi:10.1098/rsnr.1996.0003. Summerson, John (1967). "Carlton House Terrace". Notes and Records of the Royal Society of London. 22 (1): 20. doi:10.1098/rsnr.1967.0003. Syfret, R.H. (1948). "The Origins of the Royal Society". Notes and Records of the Royal Society of London. 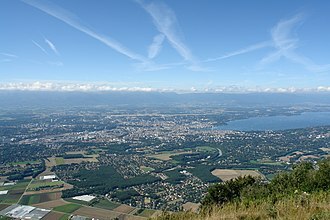 5 (2): 75–137. doi:10.1098/rsnr.1948.0017. JSTOR 531306. Robinson, H.W. (1946). "The Administrative Staff of the Royal Society, 1663–1861". Notes and Records of the Royal Society of London. 4 (2): 193. doi:10.1098/rsnr.1946.0029. Wikimedia Commons has media related to Royal Society of London. The manifestos do not elaborate extensively on the matter, but clearly combine references to Kabbalah and Christianity. The Rosicrucian Manifestos heralded a universal reformation of mankind, through a science allegedly kept secret for decades until the climate might receive it. In 1616, Johann Valentin Andreae famously designated it as a ludibrium, by promising a spiritual transformation at a time of great turmoil, the manifestos tempted many figures to seek esoteric knowledge. Seventeenth-century occult philosophers such as Michael Maier, Robert Fludd, according to historian David Stevenson, it was influential to Freemasonry as it was emerging in Scotland. In centuries, many societies have claimed to derive from the original Rosicrucians. Rosicrucianism is symbolized by the Rosy Cross or Rose Cross, between 1607 and 1616, two anonymous manifestos were published, first in Germany and throughout Europe. These were the Fama Fraternitatis RC and the Confessio Fraternitatis, the Fama Fraternitatis presented the legend of a German doctor and mystic philosopher referred to as Frater C. R. C.
The year 1378 is presented as being the year of our Christian Father. After studying in the Middle East under various masters, possibly adhering to Sufism, instead, he gathered a small circle of friends/disciples and founded the Rosicrucian Order. During Rosenkreuzs lifetime, the order was said to consist of no more than eight members, each a doctor, each member undertook an oath to heal the sick without payment, to maintain a secret fellowship, and to find a replacement for himself before he died. Three such generations had passed between c.1500 and c. 1600, a time when scientific and religious freedom had grown so that the public benefit from the Rosicrucians knowledge. The manifestos were and are not taken literally by many but rather regarded either as hoaxes or as allegorical statements, the invitation to the royal wedding in the Chymical Wedding of Christian Rosenkreutz opens with Dees philosophical key, the Monas Hieroglyphica symbol. The writer claimed the brotherhood possessed a book that resembled the works of Paracelsus and their literature announced them as moral and religious reformers. 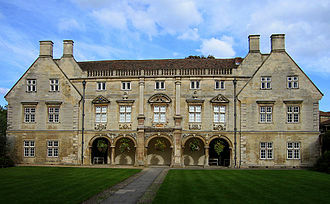 Magdalene College is a constituent college of the University of Cambridge. 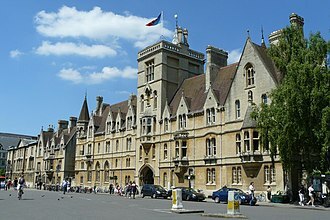 The college was founded in 1428 as a Benedictine hostel, in coming to be known as Buckingham College. Magdalene College has some of the grandest benefactors including Britains premier noble the Duke of Norfolk, however the refoundation was largely the work of Thomas Audley, Lord Chancellor under Henry VIII. 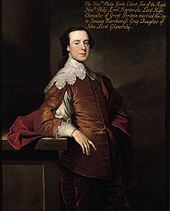 Audley gave the college its motto—garde ta foy, audleys successors in the Mastership and as benefactors of the College were, prone to dire ends, several benefactors were arraigned at various stages on charges of high treason and executed. 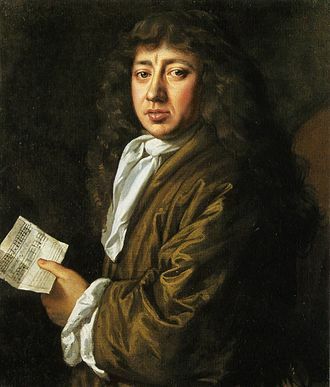 The colleges most famous alumnus is Samuel Pepys, whose papers and books were donated to the college upon his death, the college boasts a portrait of the famous diarist by Peter Lely, which hangs in the Hall. Magdalene is noted for its style, it boasts a well-regarded candlelit formal hall and was the last all-male college in Oxford or Cambridge to admit women in 1988. This change resulted in protests by some undergraduates, including the wearing of black armbands. Magdalenes old buildings are representative of the colleges ramshackle growth from a monks foundation into a centre of education and it is distinctive in that most of the old buildings are in brick rather than stone. Magdalene Street divides the most ancient courts from more recent developments, one of the accommodation blocks in the newer part of the college was built by Edwin Lutyens in the early 1930s. Opened in 2005, Cripps Court, on Chesterton Road, features new undergraduate rooms, Magdalene remains, despite this 20th-century expansion, one of the smaller colleges within the University, numbering some 300 undergraduates and an expanding postgraduate community. Magdalene College was first founded in 1428 as Monks Hostel, which hosted Benedictine student monks, the secluded location of the hostel was chosen because it was separated from the town centre by the River Cam and protected by the Cambridge Castle. The main buildings of the college were first constructed in the 1470s under the leadership of John de Wisbech, under the patronage of Henry Stafford, 2nd Duke of Buckingham, the institution was renamed Buckingham College. In the 16th century, the Church of England broke away from the Papacy, with the subsequent Dissolution of the Monasteries, the parent abbey of Buckingham College, Crowland Abbey, was dissolved. However, the college remained in operation, walden Abbey, one of the Benedictine abbeys associated with Buckingham College, came into the possession of Thomas Audley after the Dissolution of the Monasteries. 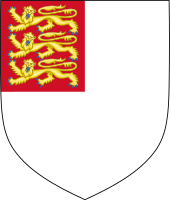 In 1542, Audley refounded Buckingham College as the College of Saint Mary Magdalene, derived from Audley were the arms of Magdalene, including the motto Garde Ta Foy, and the wyvern as the crest. Thomas Audley died in 1544 aged 56, only two years after he re-founded the college and he donated to the college seven acres of property at Aldgate in London, which was his reward from Henry VIII for disposing of Anne Boleyn. This property would have brought enormous income had it been retained by the college, under the conspiracy of the Elizabethan banker Benedict Spinola, the property was permanently alienated to the Crown in 1574. Francis Tallents was a non-conforming English Presbyterian clergyman. 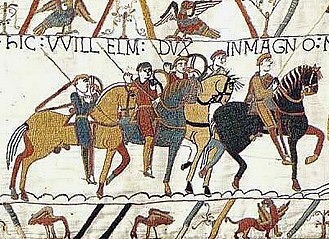 Francis Tallents was of partly Huguenot ancestry and he was the eldest son of Philip Tallents, whose own father, a Frenchman, accompanied Francis Leke, a Derbyshire Protestant politician and soldier, to England after saving his life. Francis Tallents was born at Pilsley in the parish of North Wingfield and his father dying when he was fourteen, Tallents was sent by an uncle, Francis Tallents, to the free schools at Mansfield and Newark. 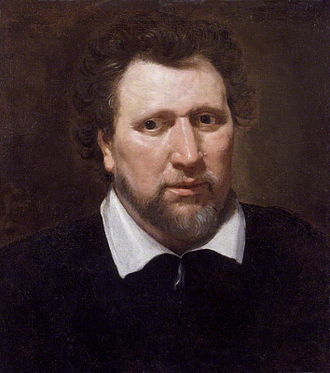 Tallents studied at Peterhouse, Cambridge from 1635, and moved to Magdalene College, Cambridge, to become sub-tutor to the sons of Theophilus Howard and he said that the encounter with Roman Catholicism at this point in his life reinforced his Protestant beliefs. This was the time of the English Civil War, in such a commitment could dictate allegiance. He returned to Cambridge, a Parliamentarian stronghold and graduated M. A, in 1645, after which he was chosen Fellow and tutor of Magdalene. 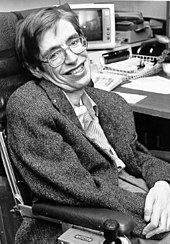 For some years he continued in life, taking a strong interest in Science and History. 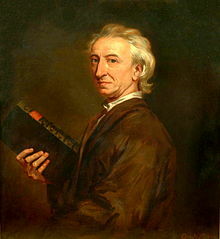 He knew at least some of the works of Jonas Moore, Pierre Gassendi, through Robert Boyle he knew about the activities and ideas of the Invisible College, a circle of natural philosophers who had a universalist and utopian outlook. He was a talented teacher, among his students was Robert Sawyer, a future Attorney General for England and Wales. 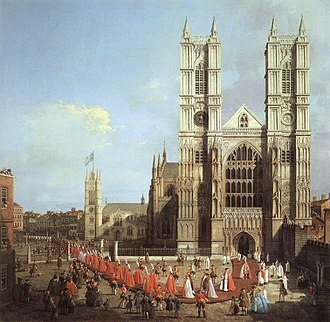 Tallents received ordination at St Marys Woolnoth, London, on 29 November 1648 by the third London Presbyterian classis. In the summer of 1652 Tallents was invited by the mayor and aldermen, St Marys had been a Collegiate church and Chapel Royal in the Middle ages and remained a Royal Peculiar as before, although the council of Shrewsbury had assumed effective control. The precise reasons for the vacancy are slightly mysterious, the incumbent had been Samuel Fisher, a Puritan preacher and controversialist of some note, but apparently not to the taste of some in the parish. 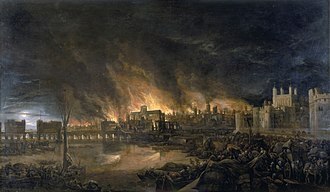 The Great Fire of London was a major conflagration that swept through the central parts of the English city of London from Sunday,2 September to Wednesday,5 September 1666. 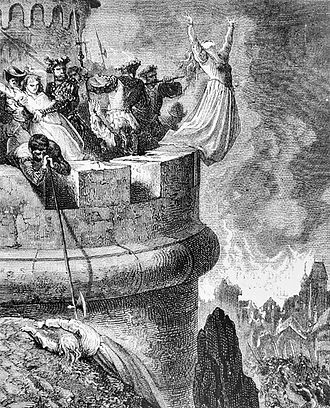 The fire gutted the medieval City of London inside the old Roman city wall and it threatened but did not reach the aristocratic district of Westminster, Charles IIs Palace of Whitehall, and most of the suburban slums. It consumed 13,200 houses,87 parish churches, St Pauls Cathedral and it is estimated to have destroyed the homes of 70,000 of the Citys 80,000 inhabitants. The death toll is unknown but traditionally thought to have been small, a melted piece of pottery on display at the Museum of London found by archaeologists in Pudding Lane, where the fire started, shows that the temperature reached 1250 °C. The Great Fire started at the bakery of Thomas Farriner on Pudding Lane shortly after midnight on Sunday,2 September, by the time that large-scale demolitions were ordered on Sunday night, the wind had already fanned the bakery fire into a firestorm that defeated such measures. The fire pushed north on Monday into the heart of the City, order in the streets broke down as rumours arose of suspicious foreigners setting fires. The fears of the focused on the French and Dutch, Englands enemies in the ongoing Second Anglo-Dutch War. 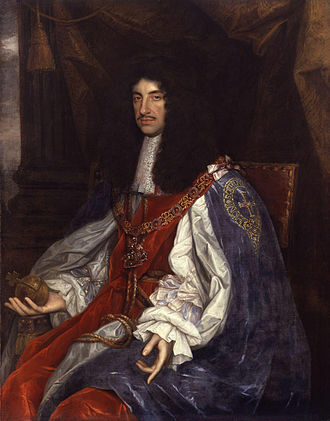 The social and economic problems created by the disaster were overwhelming, evacuation from London and resettlement elsewhere were strongly encouraged by Charles II, who feared a London rebellion amongst the dispossessed refugees. 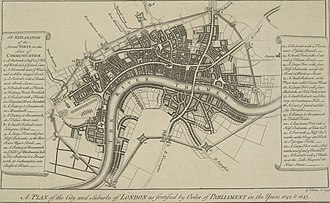 Despite numerous radical proposals, London was reconstructed on essentially the same street plan used before the fire, by the 1660s, London was by far the largest city in Britain, estimated at half a million inhabitants. By inartificial, Evelyn meant unplanned and makeshift, the result of organic growth, London had been a Roman settlement for four centuries and had become progressively more crowded inside its defensive city wall. It had pushed outwards beyond the wall into squalid extramural slums such as Shoreditch and Southwark, the City was surrounded by a ring of inner suburbs where most Londoners lived. Gresham College is an institution of higher learning located at Barnards Inn Hall off Holborn in central London, England. It was founded in 1597 under the will of Sir Thomas Gresham, the College remained in Greshams mansion in Bishopsgate until 1768, and moved about London thereafter until the construction in 1842 of its own buildings in Gresham Street EC2. Since 1991, the College has operated at Barnard’s Inn Hall, early distinguished Gresham College professors included Christopher Wren, who lectured on astronomy in the 17th century and Robert Hooke, who was Professor of Geometry from 1665 until 1704. Today three further Professorships have been added to account of areas not otherwise covered by the original Professorships, Commerce. The professors currently hold their positions for three years, extendable for a year, and give six lectures a year. There are regular visiting professors appointed to give series of lectures at the College, since 2000, the college regularly welcomes visiting speakers who deliver lectures on topics outside its usual range, and it hosts occasional seminars and conferences. Today the college provides in the region of 130 lectures a year, all of which are free, although many of the lectures are held in Barnard’s Inn Hall, the majority are now held in the lecture hall at the Museum of London, for reasons of capacity. Since 2001, the college has been recording its lectures and releasing them online in what is now an archive of over 2,000 lectures. Annual lectures of particular note hosted by the college include, the Gresham Special Lecture, the Annual Lord Mayor’s Event, the College does not enroll any students and awards no degrees. The Gresham Special Lecture originated in 1988 as a public lecture delivered by a prominent speaker. It was devised as a focus-point among the other 126 free public lectures offered every year,2012, The Rt Hon John Bercow – Parliament and the Public, Strangers or Friends. AND I will and dispose, the said maior and corporation of the said cittye. Hellynes in Bishopsgate streete and St. Peeters the pore in the cittye of London. The somme of two hundred pounds of money of England, in manner and forme followinge, viz. The Bodleian Library, the main research library of the University of Oxford, is one of the oldest libraries in Europe. With over 12 million items, it is the second largest library in Britain after the British Library, known to Oxford scholars as Bodley or the Bod, it operates principally as a reference library and, in general, documents may not be removed from the reading rooms. They do, participate in OLIS, the Bodleian Libraries online union catalogue, much of the librarys archives were digitized and put online for public access in 2015. Since the 19th century a number of stores have been built. Before being granted access to the library, new readers are required to agree to a formal declaration and this declaration was traditionally an oral oath, but is now usually made by signing a letter to a similar effect. Ceremonies in which readers recite the declaration are still performed for those who wish to take them, external readers are still required to recite the declaration orally prior to admission. 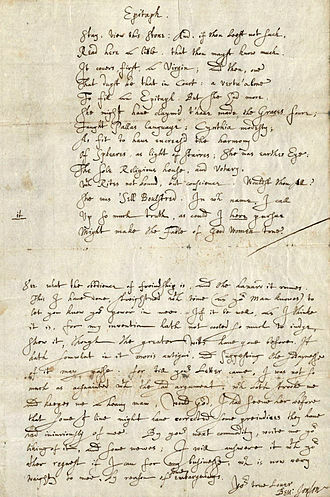 The Bodleian Admissions Office has amassed a collection of translations of the declaration allowing those who are not native English speakers to recite it in their first language. Whilst the Bodleian Library, in its current incarnation, has a history dating back to 1602. The first purpose-built library known to have existed in Oxford was founded in the century under the will of Thomas Cobham. This small collection of chained books was situated above the side of the University Church of St Mary the Virgin on the High Street. A suitable room was built above the Divinity School. This room continues to be known as Duke Humfreys Library, after 1488, the university stopped spending money on the librarys upkeep and acquisitions, and manuscripts began to go unreturned to the library. The late sixteenth century saw the library go through a period of decline, the furniture was sold. During the reign of Edward VI, there was a purge of superstitious manuscripts, six of the Oxford University dons were tasked with helping Bodley in refitting the library in March 1658. Denis Papin was a French physicist and inventor, best known for his pioneering invention of the steam digester, the forerunner of the pressure cooker and of the steam engine. 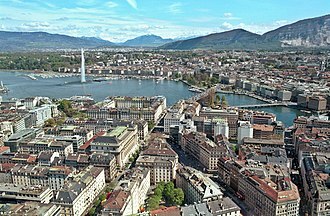 Born in Chitenay, Papin attended a Jesuit school there, and from 1661 attended University at Angers, in 1673, while working with Christiaan Huygens and Gottfried Leibniz in Paris, he became interested in using a vacuum to generate motive power. Papin first visited London in 1675, and worked with Robert Boyle from 1676 to 1679, during this period, Papin invented the steam digester, a type of pressure cooker with a safety valve. 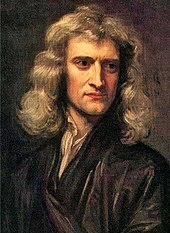 He first addressed the Royal Society in 1679 on the subject of his digester, and remained mostly in London until about 1687, when he left to take up an academic post in Germany. 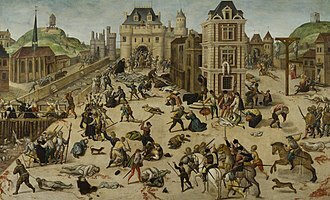 As a Huguenot, Papin found himself greatly affected by the restrictions placed on Protestants by Louis XIV of France. In Germany he was able to live with fellow Huguenot exiles from France, in 1689, Papin suggested that a force pump or bellows could maintain the pressure and fresh air inside a diving bell. While in Marburg in 1690, having observed the power of atmospheric pressure on his digester, Papin built a model of a piston steam engine. Papin continued to work on engines for the next fifteen years. In 1695 he moved from Marburg to Kassel, in 1705 he developed a second steam engine with the help of Gottfried Leibniz, based on an invention by Thomas Savery, but this used steam pressure rather than atmospheric pressure. Details of the engine were published in 1707, during his stay in Kassel in Hesse, in 1704, he constructed a ship powered by his steam engine, mechanically linked to paddles. This made him the first to construct a steam-powered boat, later, at the iron foundry in Veckerhagen, he cast the worlds first steam cylinder. 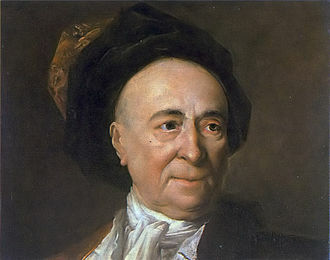 Papin returned to London in 1707, leaving his wife in Germany, several of his papers were put before the Royal Society between 1707 and 1712 without acknowledging or paying him, about which he complained bitterly. Papins ideas included a description of his 1690 atmospheric steam engine, similar to that built and put into use by Thomas Newcomen in 1712, the last surviving evidence of Papins whereabouts came in a letter he wrote dated 23 January 1712. Main building of the Royal Swedish Academy of Sciences in Stockholm. The Keck Center of the National Academies in Washington,&nbsp;D.C., one of several facilities where the National Academy of Sciences maintains offices. Slovak Academy of Sciences (Presidium Building). Entrance of the Pontifical Academy of Sciences. The West Terrace. 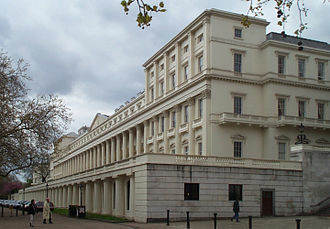 Numbers 8 and 9, formerly the German Embassy and now the home of the Royal Society, are the tall houses at the near end of the terrace. Evelyn painted by Robert Walker, 1648 in the fashionable deshabillé. A 17th century depiction of the Rosicrucian concept of the Tree of Pansophia, 1604. Ramakrishnan at the Nobel Prize Press conference in 2009. View of Gresham College in its original location. Gresham College, the court with figures in eighteenth-century dress. Richard Baxter, the noted Puritan preacher and theologian, who greatly valued Tallents.